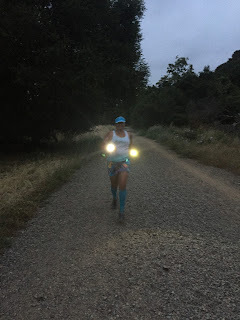 Running with SD Mom: Try Out Thursdays: Running in the Dark and @RunLites Gloves Review! Try Out Thursdays: Running in the Dark and @RunLites Gloves Review! 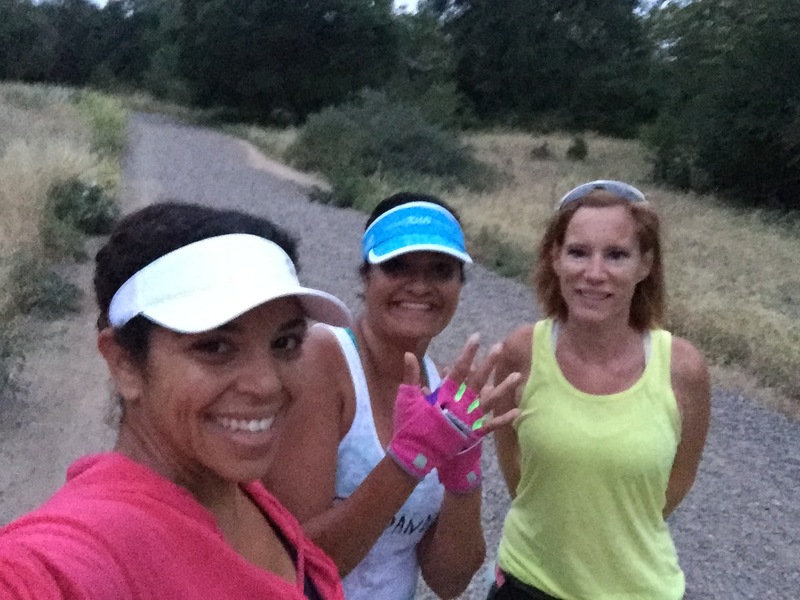 I have been meeting with the beautiful Angela and Cindy at 5:00 a.m. for a trail run before the work day. They are so awesome and I have been loving their company. But the problem is it is so dark. And trails are dark! I was recently sent these RunLites Gloves to review! I took them on a trail run this week and OMG! Life changed! We were able to see everything with these gloves! Because there were two gloves, they cast a wide circle of light in front of us. The other girls didn't even need their usual head lights and iPhone flashlights! Game changer! Here is a little video on how it works! Mary Tiffin, President and CEO of RunLites, invented and patented the gloves because as a runner and working mother of three, she could only find time to exercise at night and was frustrated by the inefficiency of flashlights and headlamps. I feel her pain. My time to work out is 5:00 a.m. Still dark! Here is their Twitter page. And now I would like you to check out the Try Out Thursdays Link Up! 1. I will start the LinkUp Post every Wednesday night by 11:59 EST. It will be hosted on www.RunningwithSDMom.com. You can link up your posts any day of the week but the most common day to do so is Thursday. Each linkup will be open for one week only. 2. Entries that are not associated with a review or linked to your homepage will be deleted. 3. Link back to Running with SD Mom so others can read everyone else's reviews too! Please use the linkup graphic if you can! 4. The thumbnail in the linkup should be a picture of the item / service / product you are reviewing. 5. MOST IMPORTANT: You MUST visit the person's blog who linked up directly before you and leave them a motivating comment or share their post. This is the most important part of the linkup. This is MANDATORY! We all keep track of who participates by playing well with others. I was sent a free pair of RunLites for review purposes only. I was not compensated in any other way and all opinions are my own. So ready to link up? What do you use to light your way in the dark? What is the coolest product or race or clothing you came across this week? Can't wait to read all your reviews! Did they make your hands hot at all? I'm intrigued! I wonder how they would do when it's really hot out. Those look so cool and cute too! Currently I run with knuckle lights as I am a 5am runner and in MN it's pitch black 8 months of the year. Really neat product! Thanks for the link-up! I like these! I never got into the headlamp (doesn't fit my head right, doesn't seem to give off enough light) so the gloves may be worth a try for sure (especially during the winter months when it is dark ALL THE TIME! But now you're not going to look like a coal miner! I'd totally try these! I don't run in the dark often but when I do, I want to be visible! What an awesome idea! I am always so hesitant to get up early and run because ITS DARK...well problem solved!